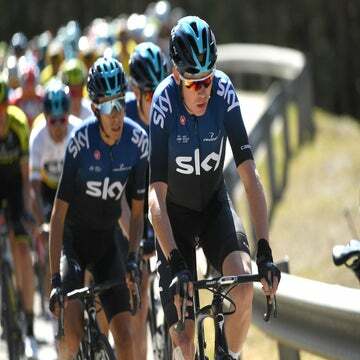 LONDON (AFP) — Highly-regarded Colombian up-and-comer Egan Bernal has committed himself to Team Sky in the long term, signing a new five-year contract on Friday. The 21-year-old enjoyed a successful first season with the cycling powerhouse, winning the Amgen Tour of California and playing a key support role in Geraint Thomas’s Tour de France triumph. “I’m very happy to sign a new contract with Team Sky,” Bernal said in a statement posted on the team website. Bernal’s extension will take him through the 2023 season. “I know five years is a long time and that it’s not too common in cycling, but the team has been great for me. Sky team principal Dave Brailsford said the length of the contract reflected the faith they had in Bernal’s potential. “This is an important moment in the development of the team,” Brailsford said. “A five-year deal in cycling is exceptional, but Egan is an exceptional talent. “We all know there is much more to come from Egan.